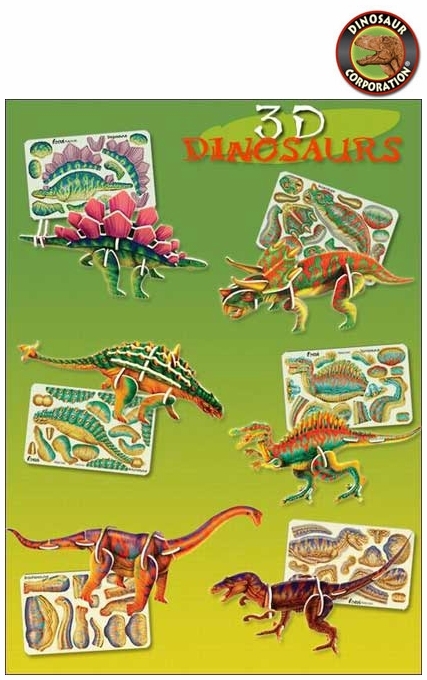 This unique assortment of dinosaur card puzzles are plastic cards with punch-out pieces that build three-dimensional models. Dino puzzles are easy to fit together, no glue is required. Great as dinosaur birthday favors, great for school projects.